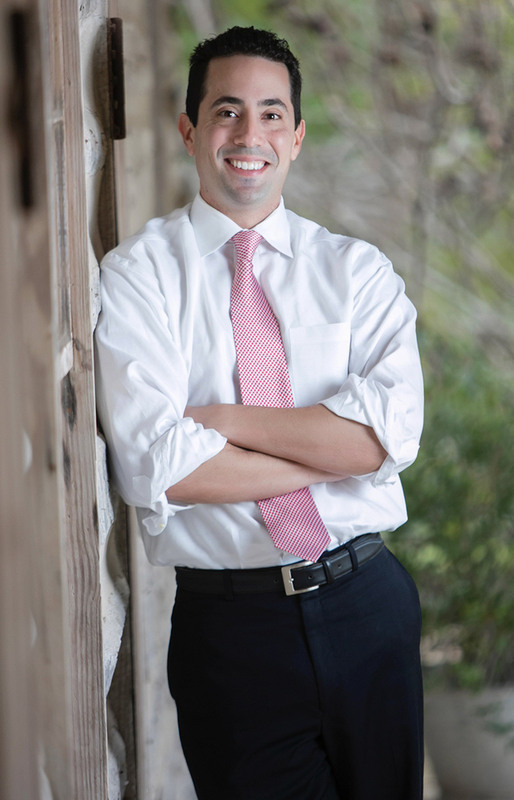 Marc earned a business degree from Wake Forest University and his law degree from St. Mary’s University School of Law. As the owner of a law practice, Marc represents businesses in a variety of matters, including commercial litigation, business transactions, and employment and trade secrets litigation. Marc’s time in public service began in 2012 when he began volunteering on local Republican campaigns. During that same year, Marc travelled to Ohio with the Mighty Texas Strike Force to block walk for Governor Romney in his campaign against Mr. Obama. From 2014 through the present, Marc has served on the City of San Antonio’s Ethics Review Board, the City’s Bond Committee (Parks), and on the Board at the Port of San Antonio. Marc has also given back to his community by serving on the Board of the Faith Family Clinic, as the President of the Defense Counsel of San Antonio, and as a member of the Valero Alamo Bowl Committee. He is also an alumnus of Leadership San Antonio, Class 40, and a member of the San Antonio Rotary Club. Marc and his beautiful wife Lorien live in San Antonio with their two spirited daughters, Ashlynn and Olivia. As a student at Wake Forest University, Marc attended the 2000 Bush/Gore presidential debate. Marc left the debate that evening amazed by how two successful people running for the same office had such different ideas about the role government should play in peoples lives. From there Marc set out to study the political history of our country, including both local and national policy, in order to determine under which policies our country has been the most successful. It was this set of studies that gave birth to Marc’s practical conservative principles, and why now he is certain that the country thrives the most when the government gets out of the way and allows people to control their own destinies. Marc’s pro-business policies are also the result of growing up with small business owners for parents. Marc remembers the mountains of paperwork and red tape that burdened his parents’ business. Marc is now a small business owner himself, and he knows that unnecessary rules and regulations must be eliminated. The two Presidents that had the most impact on Marc were Ronald Reagan – for his practical conservatism, and George W. Bush, for his steadfast leadership during 9/11. I believe in limited government, lower property taxes, economic growth and job creation, a more secure border and conservative solutions to the challenges our state faces.